Adequate moisture is a key factor for bountiful container gardens. Not overwatering or underwatering. Just enough moisture. I recommend you really pay attention to this. Use a moisture meter to check soil moisture. Or stick your finger in the soil! It should feel moist but not wet or dry. You can also make your own moisture-holding potting mix using my recipe or improve a bagged potting mix. It should have moisture-hugging ingredients like coir peat to prevent the soil drying out too quickly. Avoid potting mix products with chemical nasties like water-saving crystals. These are unnecessary and have no place in an organic food garden. If you get your potting soil mix right, it should act like a sponge. It will hold moisture and minerals to sustain your edibles. That means you will save time and money by not having to water as often. Your potting mix or growing media should retain moisture, be well draining and hold nutrients for healthy plants, especially in container gardens. Equally important is providing your food plants with the ‘love’ they need in the soil. Minerals and trace elements provide balanced nutrition. 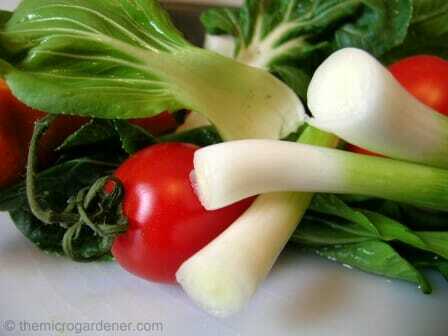 So your edible plants look vibrant. Your food will taste amazingly full of flavour and smell delicious! Plants packed with nutrients are healing and health-giving for your body. Just like we get sick and suffer from ailments if our diet is lacking vitamins and minerals, it’s the same with our plants! 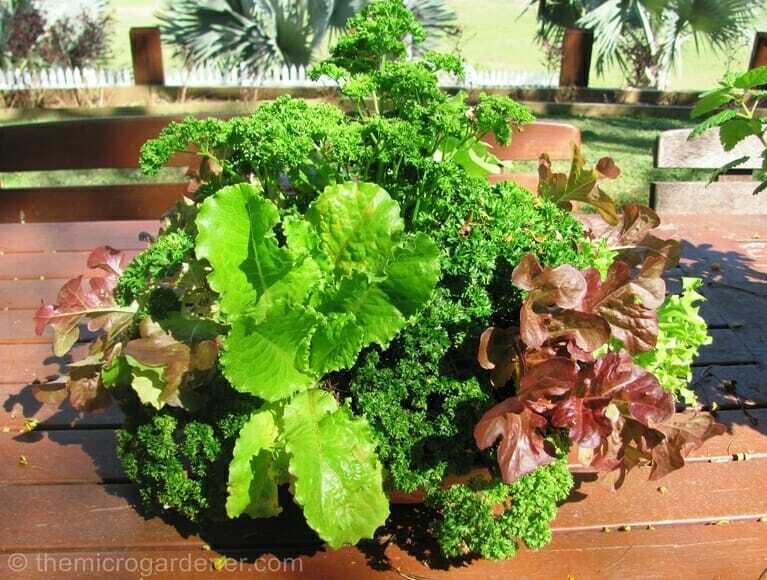 Edible container gardens are totally dependent on you ‘feeding’ the soil regularly to build humus. 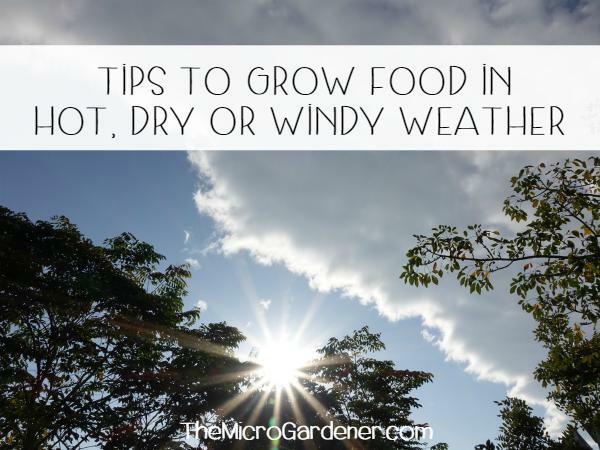 Add compost, rock minerals, seaweed, worm castings (vermicast) and other organic inputs as part of your routine for an abundance of healthy food. Small is beautiful. 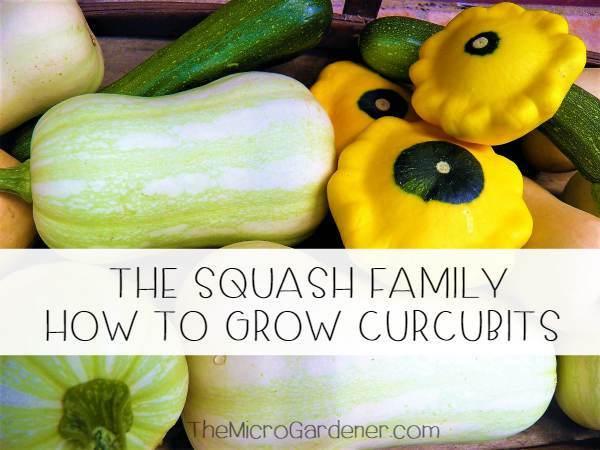 There are many dwarf varieties of vegetables available now. So you can grow your favourite food without it being a space hog. Even in container gardens. For example, there are many miniature varieties. e.g. lettuces, dwarf beans, peas, kale, cherry tomatoes, pumpkins and capsicum/peppers. They are small in size but generous in their yields. Take a look at my Seed List for suppliers around the world. Team compact climbing plants with vertical structures. 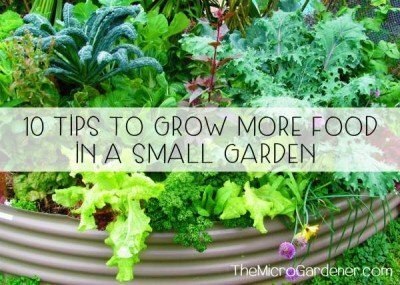 That way you can grow more in less space. Climbing beans and peas are good examples of easy-to-grow edibles. You can save space with a trellis in a pot and take advantage of sunlight up off the ground. I’ve found the spacing guidelines on some seed packets is too generous. Perfect for garden beds, but not edible container gardens. I often plant my seeds and seedlings a bit closer than recommended. In my salad bowl gardens, I grow a variety of 8 or 9 different greens and herbs. I can do this because I am constantly picking and plucking. They never grow to full size. So they can be planted ‘up close and personal’. In a warm/hot climate with strong sun, the closer spacing is also a benefit. Why? 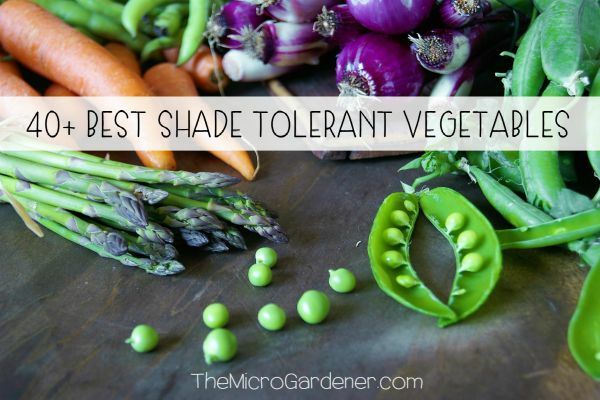 To help shade adjoining plants and reduce moisture loss. This helps protect them from wilting. No space wasted in my salad bowl gardens! When sharing one pot with multiple plants, you need to find a balance between maximising the space without overcrowding. 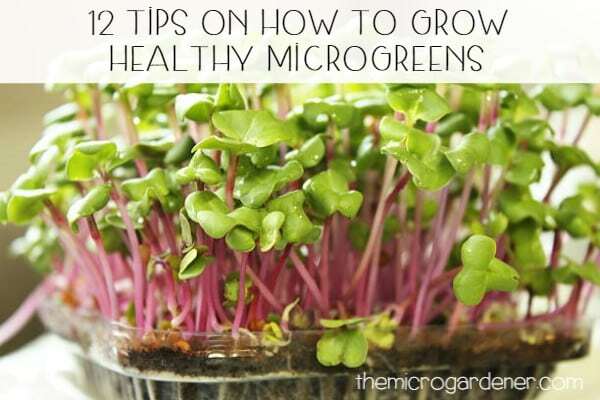 Otherwise, your plants won’t get adequate sunlight, moisture or nutrients. There will be too much competition! 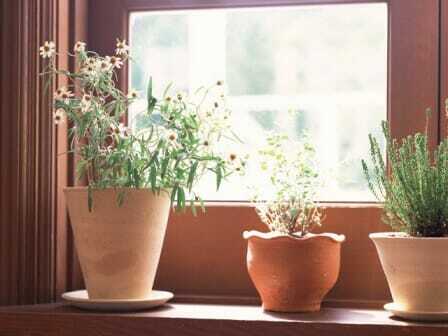 A bit of trial and error will help you learn how many plants to put in different sized containers. Rotate container gardens regularly so plants can photosynthesize and grow well. Growing in spaces with limited sunlight? Try moving your container gardens on portable trolleys. Position where your containers get more sun during the day. Or use hanging baskets to take advantage of vertical space higher up. Tiered hanging baskets are a practical solution to access sunlight & vertical growing space. 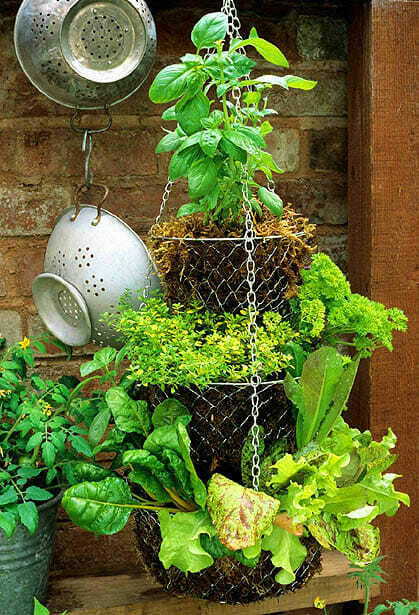 Rotating vegetables in your container gardens is important. This helps reduce the chance of pests and diseases building up in the potting media. By swapping plant families each season, you keep your soil healthy. Growing your favourite edibles at the right time of the year also gives you the best chance of success. Avoid wasting money on planting summer crops in winter. This is a recipe for disaster! If you’re not sure when the best time is to grow various vegetables, read What to Plant When and Benefits of Moon Gardening. 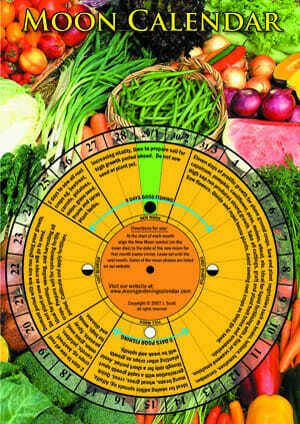 CLICK HERE to get your Perpetual Moon Gardening Calendar – a tool you can use for a lifetime anywhere in the world to help increase yields & save you time & money. These are some of my favourite tips. 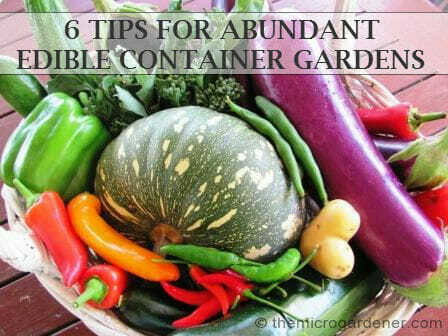 I hope they help your container gardens become more productive. So you can enjoy an abundance of fresh home grown organic produce year round. I’d love to know – What do you need help with in your garden? Please share! Join my free Newsletter for more tips and all future articles. 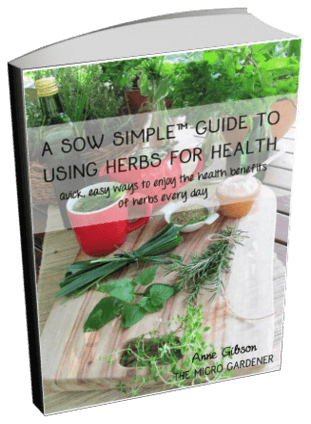 You’ll also receive my eBook ‘A Sow Simple Guide to Using Herbs for Health‘ with quick, easy ways to enjoy the health benefits of herbs every day. [Value $4.97] CLICK HERE TO GET YOUR COPY NOW. Hi, I found High Density Resin containers (24″ dia 15″ high). I called the manufacturer who said it was high density polypropylene resin. I want to use them for growing outdoor roof-top organic vegetables. Are these OK? Hi Paul, I agree you are best to check with the manufacturer as plastics vary so widely. Names of plastics can be confusing. HDPE (high density polyethylene) is usually stamped with a “#2” and polypropylene PP is usually a #5 to help with identification. These are two of the (apparently) safer plastics to use for food gardens. However, recent research (such as http://www.ncbi.nlm.nih.gov/pmc/articles/PMC3222987/pdf/ehp.1003220.pdf) suggest that even safer plastics still leach some chemicals, particularly when under stress such as UV sunlight. This applies to PP. This article on Polypropylene has some references you may want to investigate further. At the end of the day, I guess we have to make our own decisions about what to use based on the current research, space and budget we have. There are pros and cons for all containers but if you have another alternative, perhaps you could consider this instead. All the best. I was wanting to know about growing a grape vine indoors ? Can you ? How ? Is there a link where I can download the ebook? Didn´t receive it when I subscribed. By the way, congratulations for the incredible work and research you have done. I really enjoy your newsletters, they´re very informative. i subscribed and didn’t receive the free ebook. What should i do? What do you think of coco coir? We are starting a new website Wednesday with several different products for home gardening, including the city garden and would like to see what you think of those products. I do use coir peat – see my post on making your own potting mix at https://themicrogardener.com/easy-diy-potting-mix-recipe/. Best to do your own due diligence on what you intend selling as I don’t recommend any brands with chemical additives and soil wetting agents. 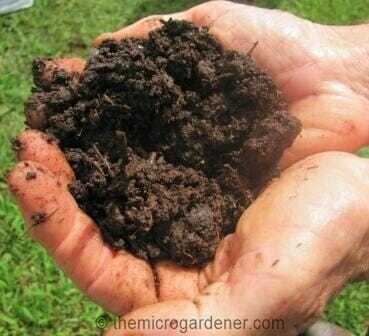 Can you supply a printable copy of your tips like soil recipe, etc.? Thanks for your feedback and interest in my articles. I am currently writing, editing and packaging a number of eBooks and tools as my web content is only a fraction of what I teach face-to-face at workshops and have learned over the years with hands-on practice. These will soon be available and make it much easier for my subscribers and web visitors, including recipes and step-by-step guides you can use in the garden. I know it’s easier to absorb the information in bite size chunks! Is this what you are looking for? I am focusing on help for beginners first to get the basics right as a starting point. Please let me know your topics of interest and I’ll try to include. I’ll keep you posted when they are going to be available.